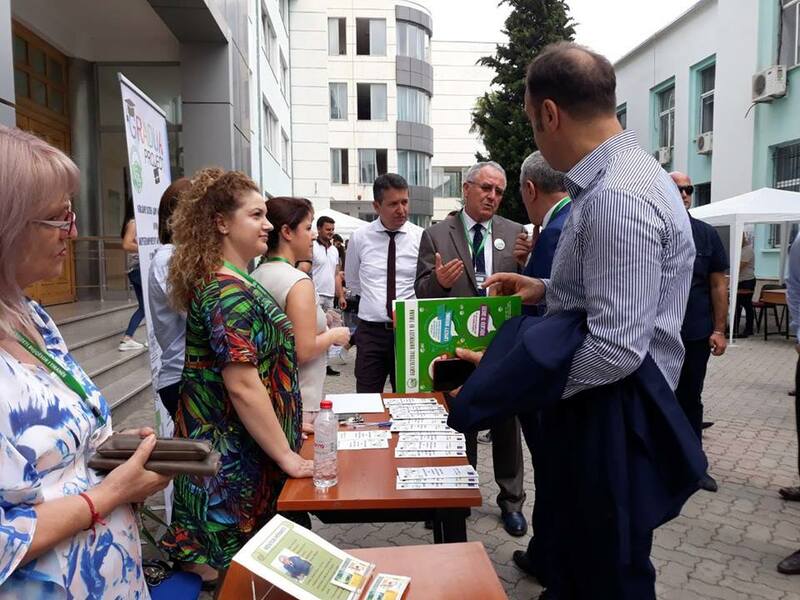 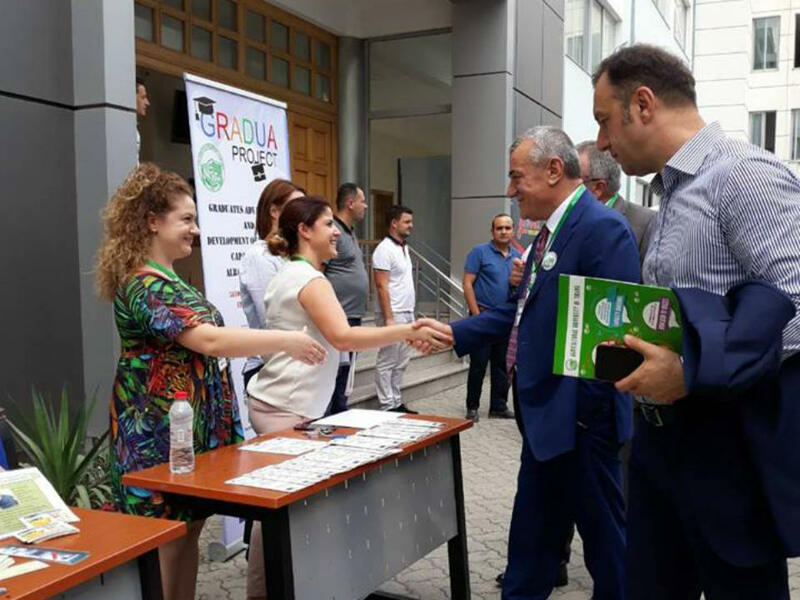 The Career Fair, the successful tradition of the Agricultural University of Tirana in cooperation with Career Center and Alumni, was organized for the fifth consecutive year, on June 13, 2018, at the University Campus facilities. 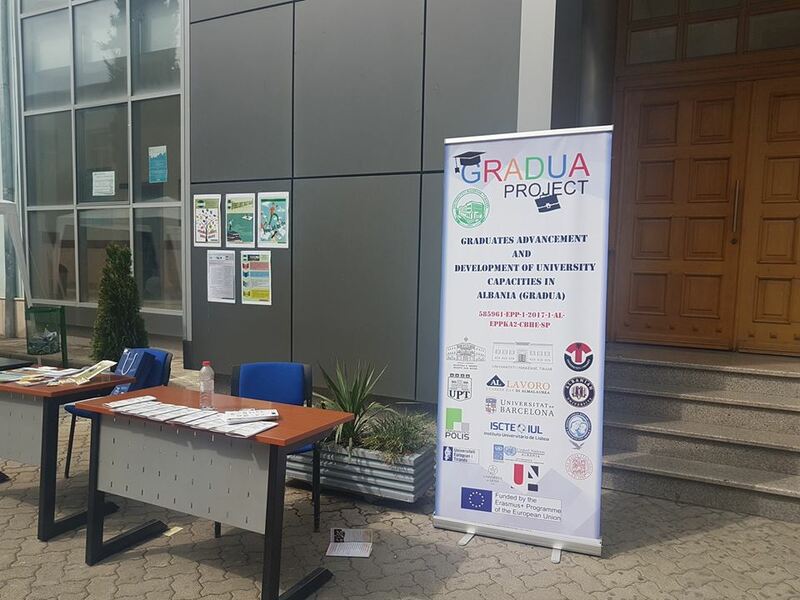 Several main goals of the GRADUA project were integrated in this fair, with the aim to strengthen the intercommunication between students and enterprises. 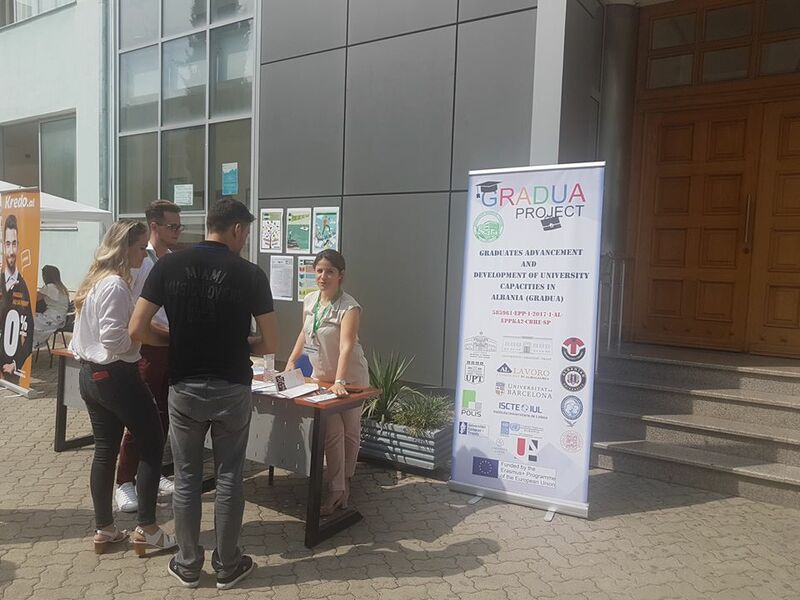 This activity remains very important for linking relationships between enterprises, public institutions and participating organizations in order to enable employment and to offer vocational and practical training for students.